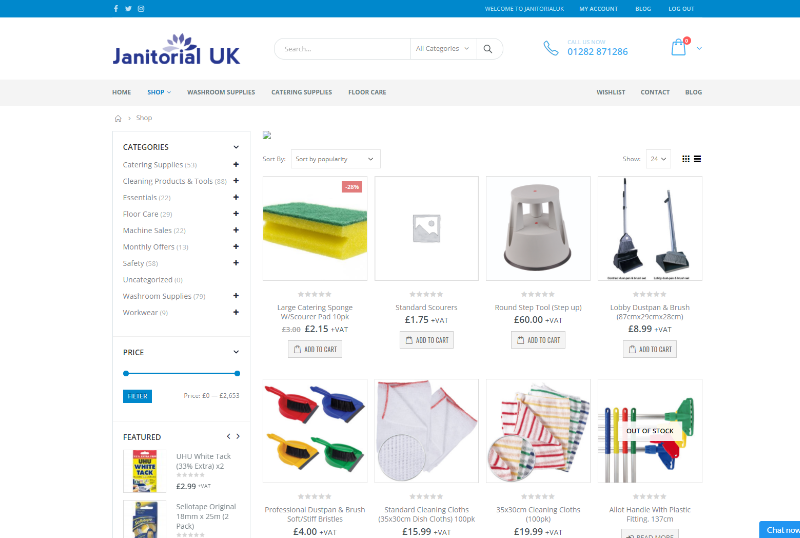 First ecommerce website created by Hargreaves Web Design! 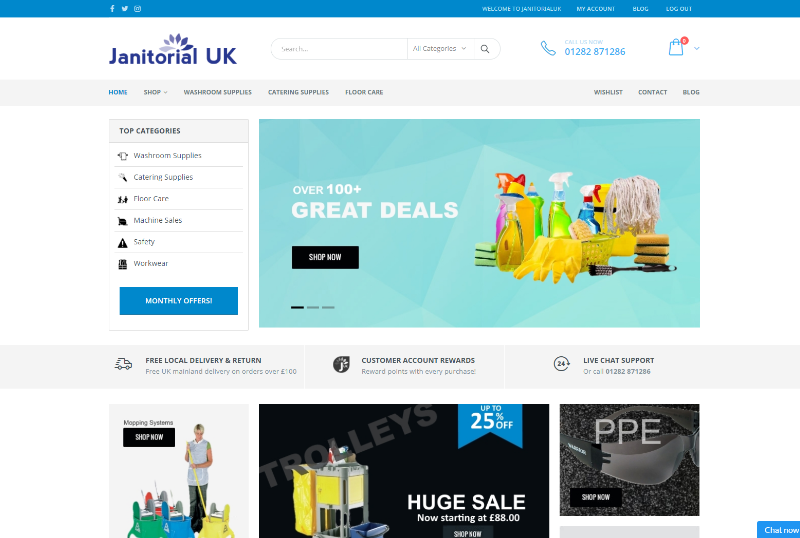 Janitorial UK wanted a clean, modern website that is user friendly. The project took over 2 months to complete working on a few design to achieve the final product.